That’s the day the comet is scheduled to hit—the big one. Denise and her mother and sister, Iris, have been assigned to a temporary shelter near their hometown of Amsterdam to wait out the blast, but Iris is nowhere to be found, and at the rate Denise’s drug-addicted mother is going, they’ll never reach the shelter in time. Then a last-minute encounter leads them to something better than a temporary shelter: a generation ship that’s scheduled to leave Earth behind and colonize new worlds after the comet hits. But each passenger must have a practical skill to contribute. Denise is autistic and fears that she’ll never be allowed to stay. Can she obtain a spot before the ship takes flight? What about her mother and sister? When the future of the human race is at stake, whose lives matter most? I don't want to be broken Denise. I want to be urgent Denise, Denise with a mission, Denise who will get us to the shelter before the impact because Mom can't be trusted to. 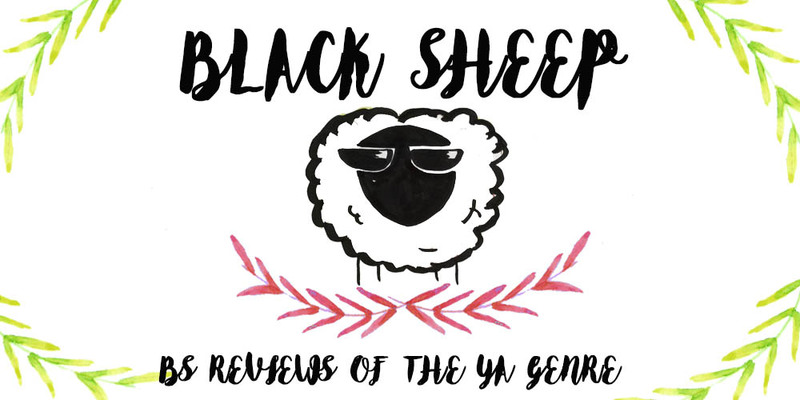 This is a book in which I’d like to give it at least an extra star for its wonderful portrayal of diversity; we got an autistic, mixed race protagonist looking for her transgender sister while dealing with her drug addict mother and the end of the world. Not just that, the book does a great job of including all kinds of characters and personalities, as well as different relationships between all of them. However, I know that you’re probably looking at those two stars and wondering what happened that made me give it a low rating and this is, unfortunately, a case of “it’s me, not you”. 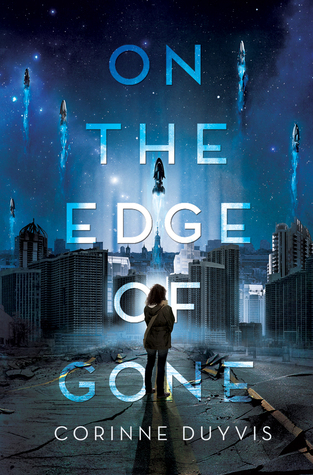 I went into “On The Edge of Gone” expecting to find a cool space story with an interesting narrator, the voice was there but the space or the plot weren’t. 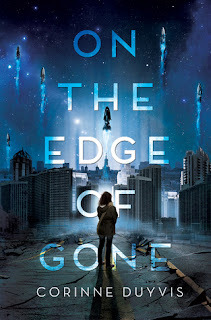 My issue with this book was its lack of plot, I thought it would be more of a survival story on a race to space but instead this is more of a character study with Denise going a bit aimlessly through the ship, trying to make herself useful so she can secure a place for herself and her family, while trying to find her sister who never arrived home like they had planned. When her mother decides to help Denise’s teacher and her wife, whose motorbike broke down, they take them to one of the few ships that haven’t yet abandoned Earth. Denise and her mother are allowed to stay, but only until the worst of the comet has gone, then they’ll be left on their own while the rest of the approved crew gets to launch towards a new life. It had an interesting cast, good writing and wonderful relationships, but I’m someone who loses attention really quickly and needs something else to stay hooked to the story; Denise going back and forth trying to find a way to stay while remembering her sister wasn’t much entertaining for me, no matter how much I tried, and I found myself wanting to DNF this more than once. Overall, a good story with great characters but that just wasn’t for me.